The calendar doesn’t say October, but in Boston the Oktoberfest celebrations have begun! The Hub hosts several such occasions over the next several weeks, so clean out your stein – or your lederhosen if you’ve got a pair – and prepare to indulge, or imbibe, in some seasonal festivities. 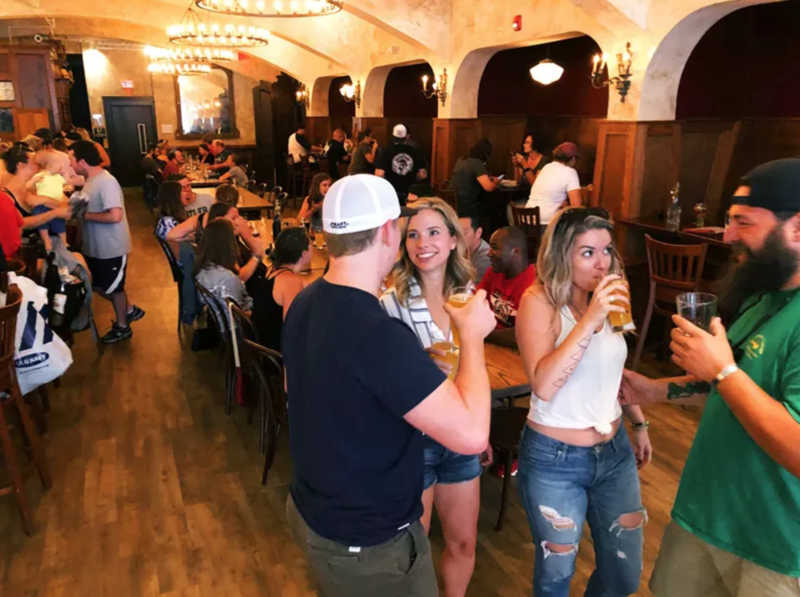 The fun starts this weekend with Oktoberfests happening on Saturday, September 22 at Night Shift Brewery in Everett and at Dorchester Brewing Company. The Night Shift festival runs 11am-11pm and will feature a tasty line-up of German-inspired beers including a Marzen-style Lager, Smoked Lager and German Pilsner. For entertainment, Night Shift is bringing in the TubaFrau Hofbrau Band, a traditional German oompah ensemble. At Dorchester Brewing the doors open at 11:30am and the first 300 guests receive a FREE Oktoberfest mug. The Double Eagle Octoberfest band will play from 2pm-5:30pm. The next weekend, head down to South Boston for Harpoon’s annual Octoberfest bash, a 2-day event taking place on September 28-29. Early Access passes are on sale now, so buy yours and get an additional hour at the festival on Saturday as well as a souvenir cup and some beers included. Have a couple Harpoon Octoberfest brews during the event, a very tasty Marzen lager with an abundance of Munich and Chocolate malts. Don’t worry, come October there will still be more Octoberfests to enjoy, including an event at Democracy Brewing on Saturday, October 6 that will dovetail with a special “Reading of the Riot Act” at 8pm that’s part of a citywide reenactment marking the 250th anniversary of when British Redcoats occupied Boston in October of 1768. Let’s see how the Redcoats do with a tavern full of rowdy Octoberfest revelers! The next day, Sunday, October 7, the 40th Annual Oktoberfest and HONK! Parade descends upon Harvard Square. Help 27 HONK! bands retake the streets of Cambridge while shopping in eclectic street markets full of vintage goods. HONK! bands come from across the globe to participate in this irrepressible annual affair. The weekend of October 20-21 will be a busy time in Boston with the 54th rowing of the Head of the Charles Regatta, so if you want to escape the hordes for some rural recreation head out to Wachusett Mountain for the 2nd Annual Oktoberfest. 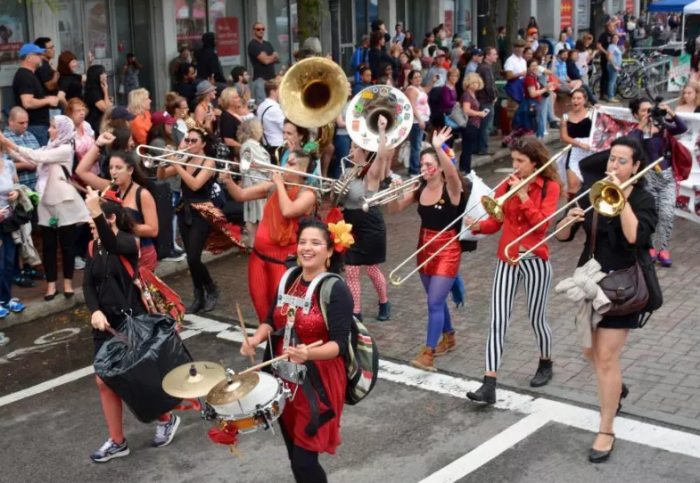 The festival includes keg-tossing, farmers’ markets, craft beer, German music, and family fun against the spectacular backdrop of October in New England. So prepare for a full lineup of festive fall fun with Oktoberfest events happening nearly every weekend over the next month. And like the regatta rowers, pace yourself because there’s a long ways to go. Keep up with what&apos;s brewing in Boston on our Craft Beer page.